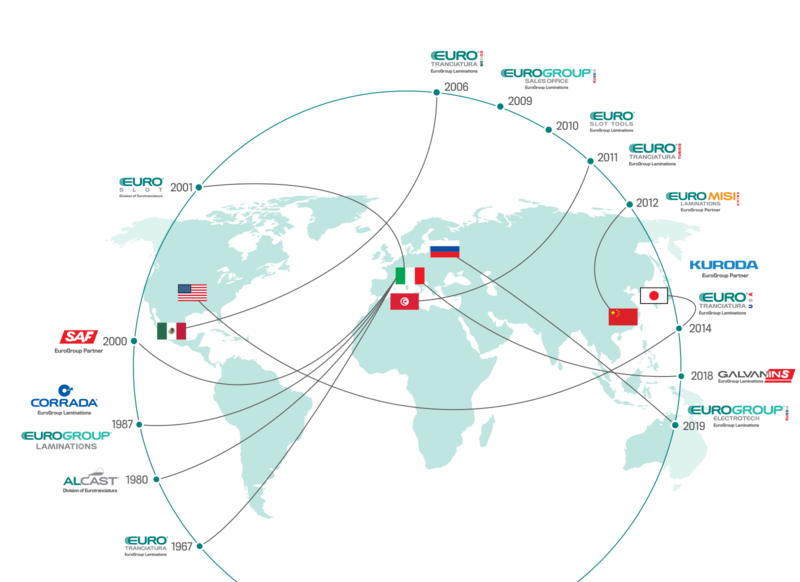 We at EuroGroup are always near you. Our mission is to advance the rotating machines that improve the quality of everyday life. We strive to achieve this each day with our production of high technology stators and rotors powering a variety of applications, such as electric motors for automotive, pumps, household appliances, ventilation, industrial drives, generators and many others. EuroGroup is close to you, wherever you are. Our global reach which pays particular attention to the emerging markets, ensures that our factories and skilled teams can offer support to our international partners. EuroGroup is in continuous motion, revolving around the needs of its customers and their satisfaction. Close to you, anywhere in the world. SOCIETA’ SOGGETTA AD ATTIVITA’ DI DIREZIONE E COORDINAMENTO DELLA E.M.S.